A glass of wine a day has positive effects on health. The beneficial properties of red wine have been corroborated by numerous studies, especially its action protective against heart disease and cancer. This is because to one of its components is resveratrol, a natural antioxidant very beneficial to human health. Other components, such as tannins and flavonoids act as antioxidants and help clean and remove cholesterol from the artery walls. Drinking red wine in moderation decreases disease coronary and artery, can reduce by 40% and 50% the risk of ischemic heart disease, according to the American Heart Association. 2- The red wine prevents premature aging of memory cells (Alzheimer). 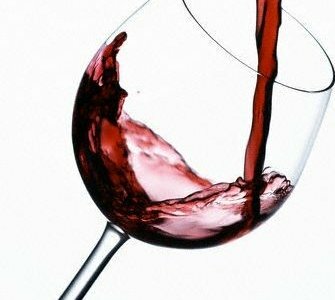 The high content of resveratrol in red wines of intense maceration has preventive properties on tumor cell formation which generating certain cancers. 3-Women who drink wine (1 or 2 drinks at most) are less likely to lose bone mass than abstainers. But do not forget that, in excess, the alcohol speeds up the process of decalcification. 4- The red wine encourages people, any dish wins if accompanied by a good red wine.